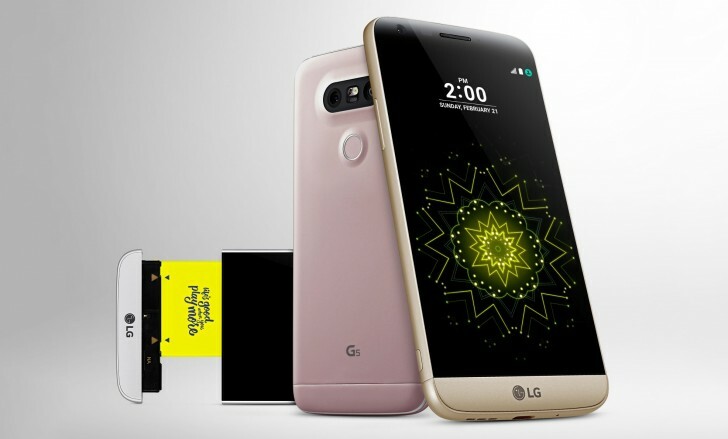 LG has announced that its newest flagship – the G5 – will go on sale globally on March 31. The South Korean company said that the modular phone will come with freebies (ranging from its camera module to a battery pack worth over $100) that will vary depending on the country. Prices of a couple of G5’s friends (accessories) have also been revealed: the Cam Plus camera grip will carry a price tag of around $85, while the audio module (Bang & Olufsen DAC) will set you back around $160. Over in the US, Best Buy has started accepting pre-orders for the AT&T and Sprint variants – Verizon variant will be up for pre-order starting March 24. 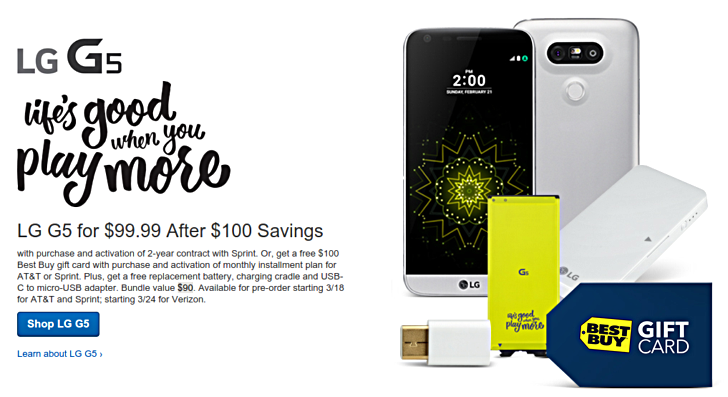 The retailer is offering $100 savings on the device with purchase and activation of a 2-year contract with Sprint. Alternatively, buyers will get a $100 Best Buy gift card with purchase and activation of monthly installment plan – this promo is also available for the AT&T variant. In addition, all purchases will come with a free bundle (worth $90) that includes a replacement battery, charging cradle, and USB-C to micro-USB adapter.